In the evening, there are some times when I just need a little project to work on. Maybe something that I don’t really need to think about. 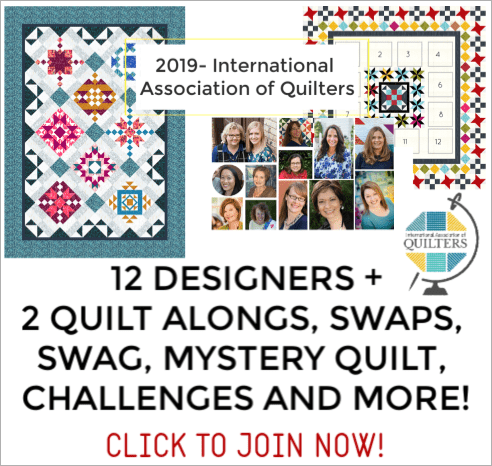 It comes together fairly quick and there aren’t a lot of extra pieces laying around like a hoop and a bunch of thread. Hexagons are just that for me. To me it is kind of mindless work that doesn’t require a whole lot of concentration or effort. The honey doesn’t love these projects though because there are bits of fabric laying about the coffee table with hexagon papers along side. 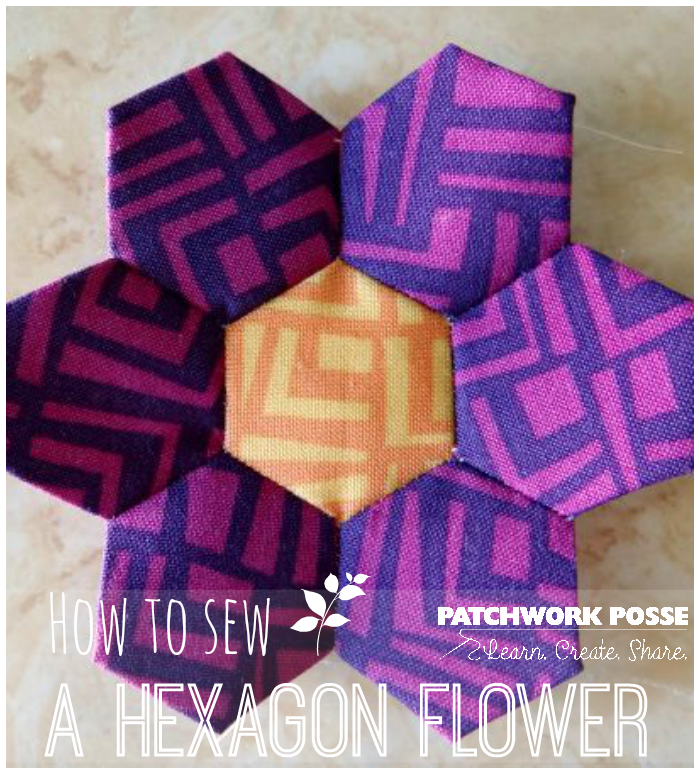 The hexagon flower is right now what I am obsessed about. There are a few other flowers hanging about – besides this little cutie. I am sure the pile will become large enough to do something with. 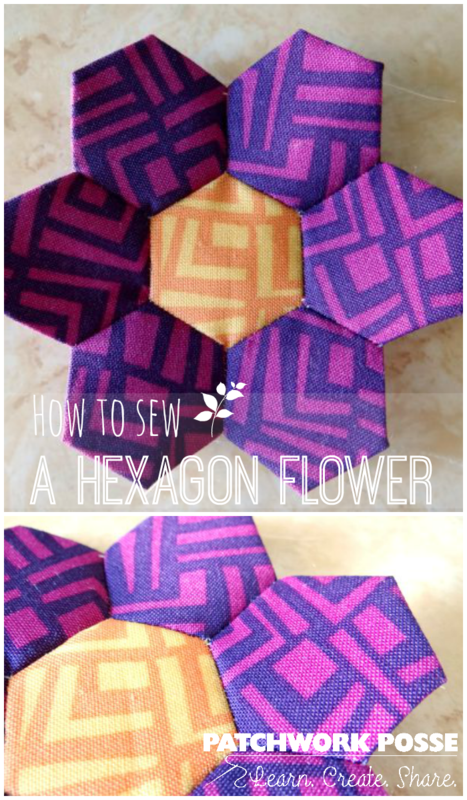 Until then, how about a quick reminder and tutorial on how the hexagon flower comes about. 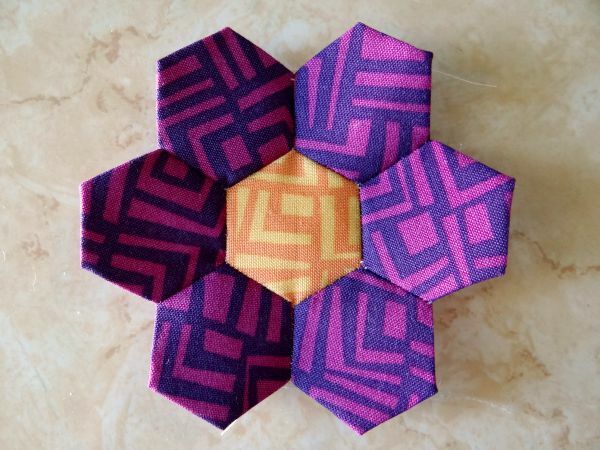 1) Make your hexagons! Each flower will require 6 outside petals and 1 center. You can choose the size of your templates. Here are a bunch of printable templates you can pick up for 2 bucks. 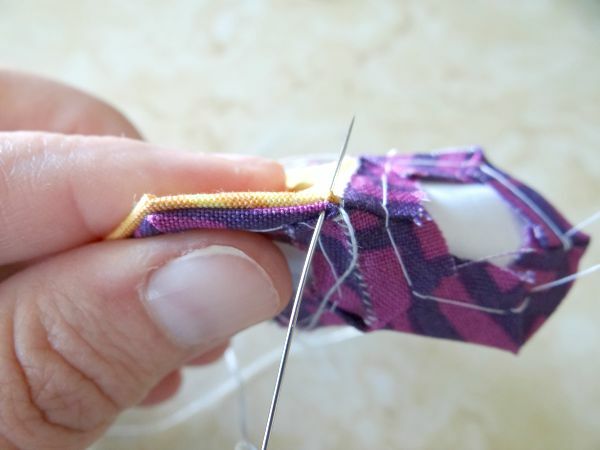 5) Stitch the aligned edge- your stitches will just tick the edge of the hexagon side. 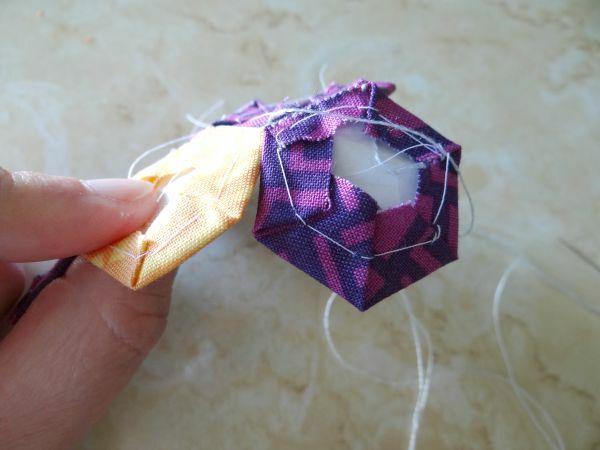 You will NOT be stitching any of the paper- your stitch should NOT go that far into the hexagon! 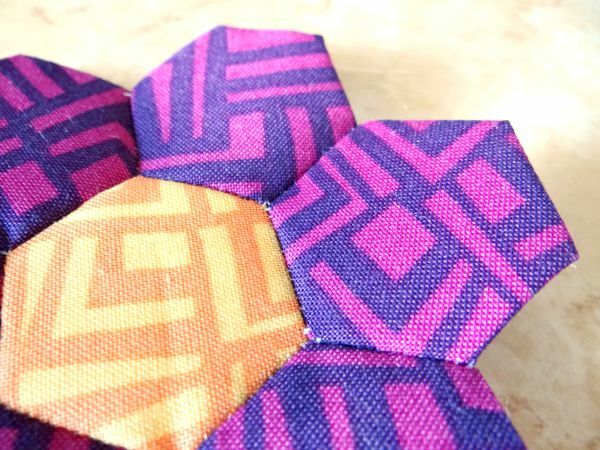 10) Continue sewing the hexagons in place. When you open the full flower up, you might notice that there are little holes around the center hexagon where it meets the other pieces. 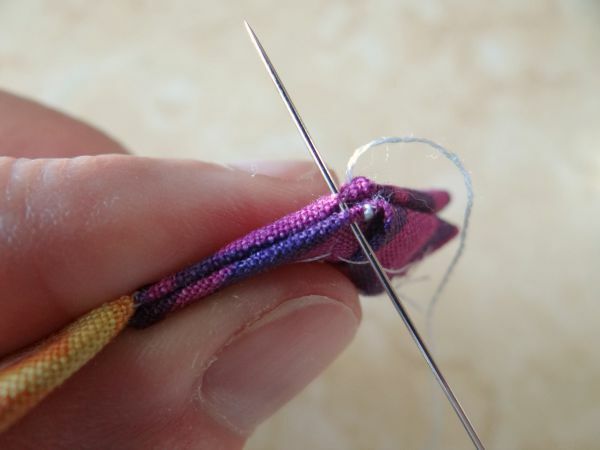 Take your needle and thread and take a couple of stitches to pull the edges together, closing the holes. The fabric is moveable along those seams so it’s not that hard to cover up. 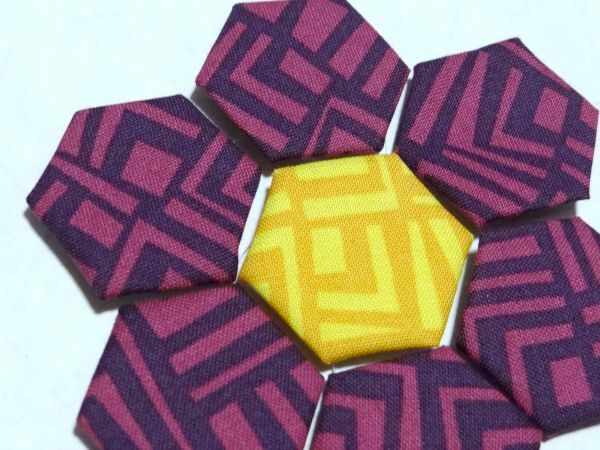 This little set of hexagons have become something fun…. can you guess what it is? 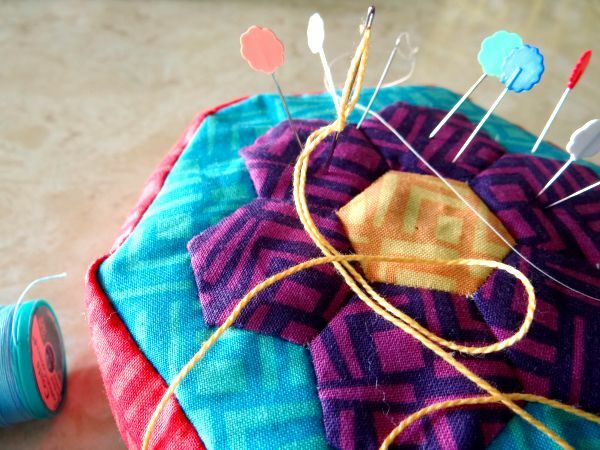 Now that you’re done with your flower- you can take that shape, pin it in place on your background fabric, and stitch around. Try to hide those stitches a little on the underneath of the edges if you can. 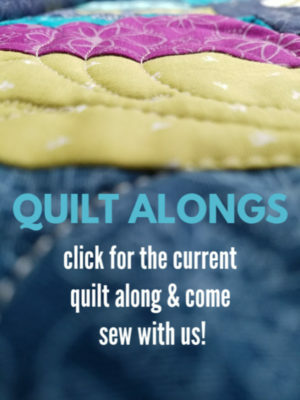 Here’s a video tutorial showing you how to stitch it down to the backing fabric. 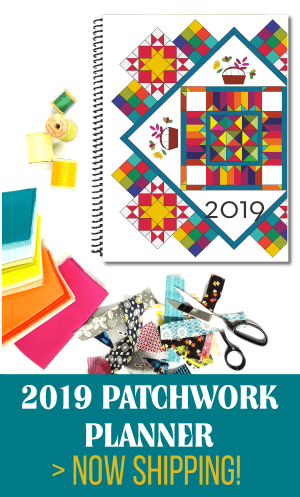 While you are stitching along, pull the paper out individually out. You’ll want to leave a few till the end to hold the shape. 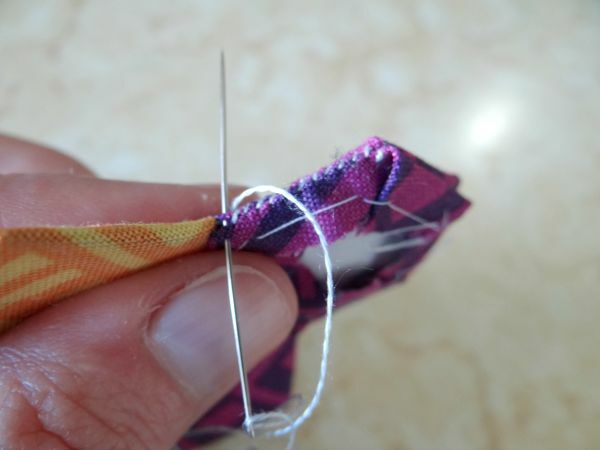 Sometimes the fabric scoots around without the paper to hold it in place, so watch out for that! Here is a tutorial for getting that paper out if you forgot them! Hello..thanks for showing this pattern. When you finish the flower do you take out the pattern pieces? and how do you close up the back of the flower? Sorry, Just a newbie. 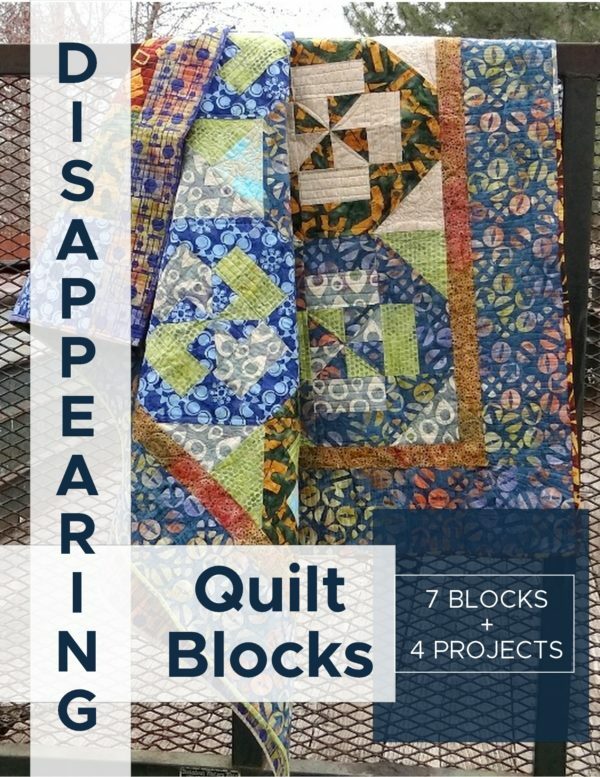 https://www.patchworkposse.com/help-paper-stuck-inside-hexagon-quilt/ is a tutorial for getting the paper out- if you forget. Otherwise, I just added information on what to do when your flower is done.